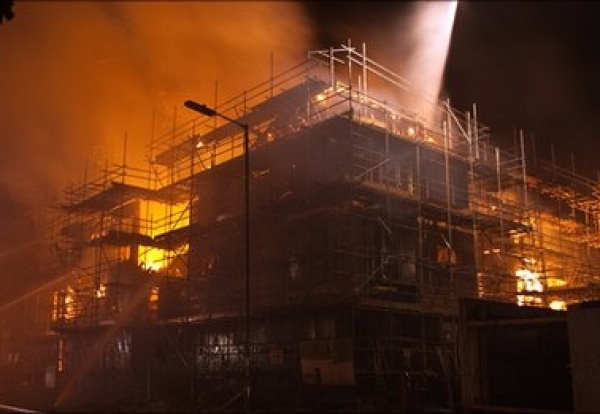 Fire chiefs are calling for an urgent review of the Building Regulations following a spate of blazes at sites using timber framed contruction. Fire chiefs have spoken out following blazes at Peckham, Camberwell and Basingstoke which all resulted in fire damage to adjacent buildings. They said: “The use of timber frame as a method of construction, together with other Innovative Construction Products and Techniques has increased markedly in recent years as an alternative to traditional building construction methods. “The CFOA is increasingly concerned that a fire involving a timber framed building under construction may result in loss of life. “The Government Department which oversees the Fire and Rescue Service, Communities and Local Government, are commissioning research into firefighting in timber framed buildings and also fire spread within and beyond such buildings. The latest fire involving a timber framed building occurred on Friday, 10 September and involved a serious fire in a four storey complex under construction at Gershwin Road, Basingstoke, Hampshire. The fire threatened neighbouring properties and CFOA Vice President, Chief Fire Officer Peter Holland said, “But for the tenacity and heroic efforts of fire crews responding from Hampshire, Surrey and Royal Berkshire Fire and Rescue Services, the consequences of this fire would have been much worse”.